Ok, we were so basic this week I didn’t even get any pictures. Cricket did really well with the W work though. She struggled for some reason with the word we, but she liked the zoo based mini book nine the less (part of the power point). Sorry, I don’t have more to offer this week. Can you tell we are ready for a school break? Cricket is going to be baptized this coming Sunday at church, and last Saturday our Pastor came by the house to talk to us all about it. Cricket responded really well to him, and even gave him a hug. This isn’t typical, she is especially shy with men. I can’t wait for Sunday!!! Once again we used Hooked on Phonics and sign language for the letter W.
Cricket practiced counting with Yahtzee some more. It’s good practice when she rolls 3 Yahtzees in one game! Cricket was finally able to catch a bug and observe it in her bug catcher. She was thrilled! Unfortunately I think we caught a sickly caterpillar, and I had to dispose of it the next morning. She started expressing interest in her drums again this week and we went with Daddy to band practice. She enjoyed watching the band play and playing with the sound equipment. My absolute favorite moment was when the warming up she started singing “This Little Light of Mine”. By the way, this did not mesh with the music, but she didn’t care. 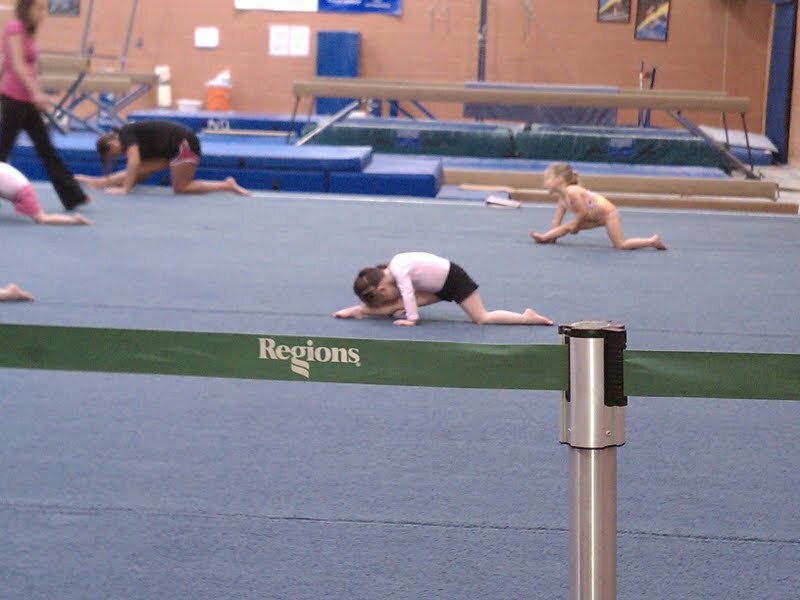 Cricket’s gymnastics program ended for the year and they wrapped up with a really cute “Olympic” program. All the kids got a medal at the end, and Cricket was SO proud. She will have a month off of classes to relax. When We’re Together by Claire Freedman – I was drawn to this book due to the illustrations by Jane Chapman. I fell in love with her work in Karma Wilson’s bear series, and I have yet to be disappointed. In addition to the excellent illustrations the book was also very cute. It was all about fun ways to be “together”. 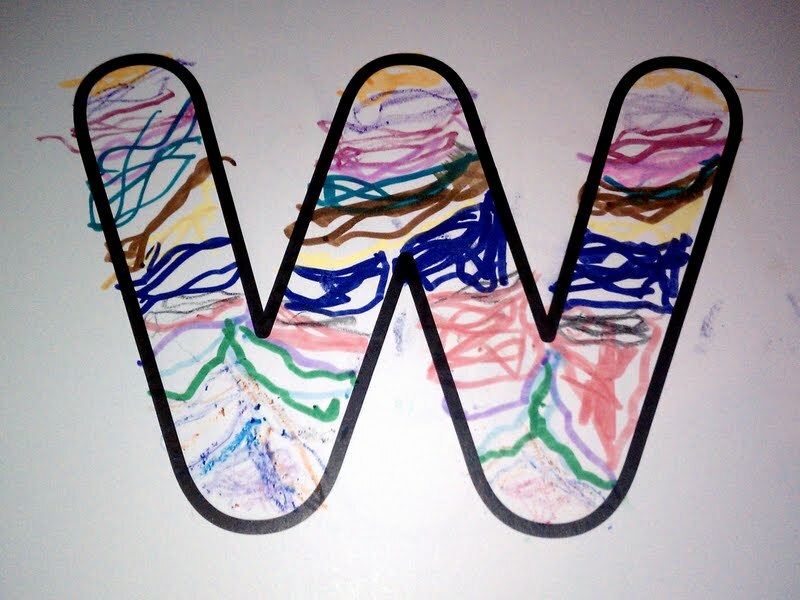 My “w” Book – This book did a great job of delivering a large variety of letter W books, as “little w” searched for things. It was a good learning book, but not really something Cricket would return to for the story. Also Little W was a witch and I know that might be off putting to some people. Little Walrus Warning by Carol Young – So many children’s books are either absolutely fiction or boringly factually, that this was a refreshing blend. Little Walrus Warning had an adorable fictional story of one walrus calf and his mother, but many actual facts sprinkled in. Cricket was able to learn about walruses in an enjoyable way. Wheels Go Round – This book was ALL about wheels going around. It listed a variety of wheeled objects and threw in a little bit of counting. It was a cute book, but probably a little too simple for Cricket. Wild Weather Days by Katie Marsico – I was hoping this would cover tornadoes as an educational resource for another discussion (we live in Alabama), but besides that it was a good resource book. The Red Wagon by Renata Liwska – This was a simple story about a little red wagon. The illustrations give way to some irony, and a cute combination. Arctic Song by Miriam Moss – We found a great mix of W words in this book, and Cricket really enjoyed all the different animals. I think this would be a great book for a geography study, so we will probably revisit it next year. That makes 159 books total so far for 2011. I highly recommend joining in at the Read to Me Picture Book Challenge. Cricket and I have been ding a lighter version of school lately, but this work remains the highlight. She just really loves and connects to the power points. She liked the V vocabulary this week, and enjoyed writing the Vs on these cards. This is interesting, because she is less than enthusiastic about other writing work. We found a set of chapter books that Cricket and I both love. We tried a few others first, but last week we read our first Magic Tree House book and we are hooked. Cricket loved the writing style of Mary Pope Osborne, and I could see her getting lost in the story. The images that are present truly enhance the story, without taking away from your ability to imagine. I think my favorite thing about the book is that Cricket has made two need friends. Cricket has been talking about Annie and Jack and living in their world like I remember books of my childhood. Cricket read her first book by herself!!! A friend of ours lent us this set of books, and Cricket really likes them. They are easy enough that she is picking them up quickly too. She can already read the first book independently and is almost there with the second book. My favorite moment was when she crawled up in her dad’s lap and read him the book. Verdi – This snake tale was really intriguing to Cricket, and she liked how Verdi maintained his youth even after he was no longer green. Vulture View – I accidentally skipped a page when I read this book to Cricket, and I think that was a wonderful blessing. As I looked back through it I had magically skipped the grossest page, that discussed what vultures eat. The beginning and the end of the book were nice discussing how they fly and how they sleep in families, but I would say that this book is definitely not for everyone. The Very Lonely Firefly – Cricket was sad that the library version no longer lit up at the end, but otherwise she enjoyed the Eric Carle story. It reminded me in a way of Are You My Mother by P. D. Eastman, as the firefly searched to find another firefly. Pets at the Vet – This was an accurate, yet toddler friendly, accounting of what a vet does. Zin! Zin! Zin! A Violin – This was Cricket’s favorite book of the week. She really enjoyed all the different sounds of the instruments and the way the story flowed. Mole Music – This was my favorite story of the week. The illustrations were key to my enjoyment, and I loved how a whole separate story was unfolding above Mole that he had no knowledge of. Oh, this was a letter V book, because Mole played a violin. That makes 147 books total so far for 2011. 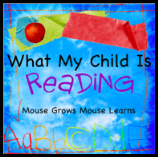 I highly recommend joining in at the Read to Me Picture Book Challenge. 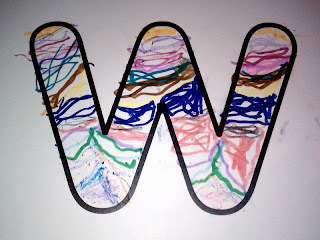 Once again we used Hooked on Phonics and sign language for the letter V. She also used the letter sheet from Confessions of a Homeschooler and this letter V worksheet from Homeschool Creations. It was a big hit, since she’s into cutting right now. We also used the Hooked on Phonics fridge magnet a lot, and it was very helpful because initially Cricket was initially pronouncing Vs as Bs. Cricket did really well with her 17s, and is doing better with her counting. Cricket is doing better and better with her gymnastics and now she has started swimming too. Cricket has a new game that she is really enjoying, its The Ladybug Game, and it was developed by a first grader! I am totally impressed. It is a great counting game, and the game play cards have clearly written instructions so Cricket is picking up simple words from it too. As always Cricket REALLY enjoyed the power point presentation. Cricket continues to enjoy working with the vocabulary cards each week. This week she wanted me to arrange them in my order of my preference. She did a fabulous job coloring in Thank You God. After wards she cut the words apart to make a crown, but she insisted on a new order. I thought it was perfect! Today Cricket got in trouble for something and was sent to time out. After wards she came to talk to me, as always, to apologize for what she had done and talk about it. During our conversation she asked if I still loved her (she has been told many times I always love you, even if I don’t like what you are doing). She went on to tell me that she had been praying during her time out. It honestly brought me to tears to see her heart filled with compassion for me and a love of Christ!